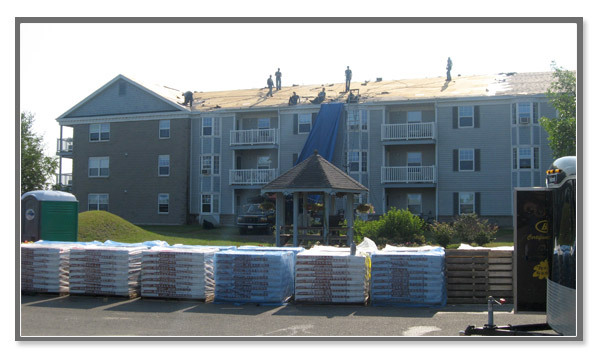 Rencently Capital City Roofing was contracted to replace shingles on a number of apartment complexes in the Fredericton area. "A job well done! I was very impressed with the quality and speed in which my roof was re-shingled." 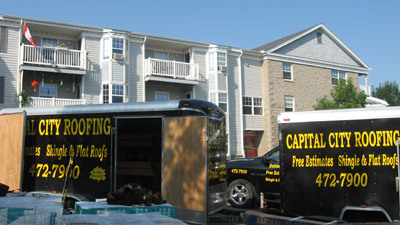 Welcome to the new Capital City Roofing website. A leaking roof can create a lot of damage very fast. You cannot afford that. We are here to provide you with professional work, expert advice and the best value for the money. Copyright © Capital City Roofing. All rights reserved.